Governor Akinwunmi Ambode of Lagos State has reportedly pulled out of the governorship race and endorsed his All Progressives Congress, APC, rival Hon. Jide Sanwo-Olu. 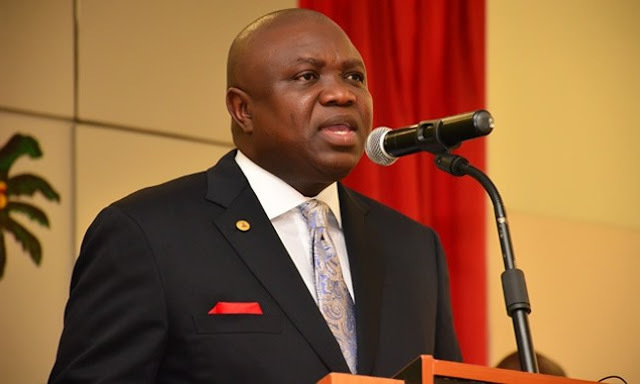 This was disclosed in an unconfirmed press release signed by Governor Ambode on Wednesday. According to the release, Governor Ambode is taking the decision in the interest of the party and for Lagos State to have ‘a change of leadership’. The release reads: “I, Akinwunmi Ambode the executive governor of Lagos state after due considerations and consultations, I have decided to suspend my campaign for second term as the executive governor of our great state. “This is done in good faith to put the interests of our great state ahead of our personal ambition and to honour the clarion call for a change of leadership by our great party. “I am committed to the program and manifestos of our great party APC to improve the lives of the people of Lagos state and Nigeria as a whole. “In view of this, I hereby endorse Hon Jide Sanwolu to represent our party for the office of the executive governor of Lagos state. “I thank the leadership of our party at all levels for their supportive role during my term as the executive governor of Lagos state.